In the STEM world, there are few places that will make people gasp with awe. 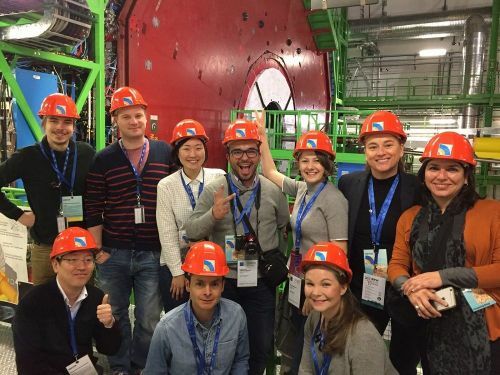 CERN is one of them, and during one special week in December, several Seidenberg staff and faculty were there. CERN is one of the world’s largest and most respected centers for scientific research. 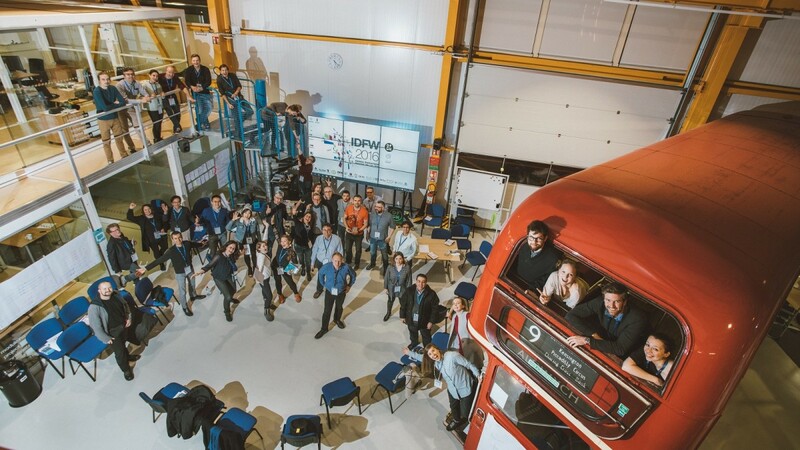 It’s also home to a Design Factory, which this year was the host of International Design Factory Week, an annual meeting of Design Factories around the globe to collaborate, bond, and have a good time with other members of the network. Pace University recently opened our very own entrant into the Design Factory Global Network (DGFN) – the NYC Design Factory. The purpose of these factories is to build a space within a community where members can research, collaborate, give and get feedback, and ultimately develop excellent ideas and products that solve problems. 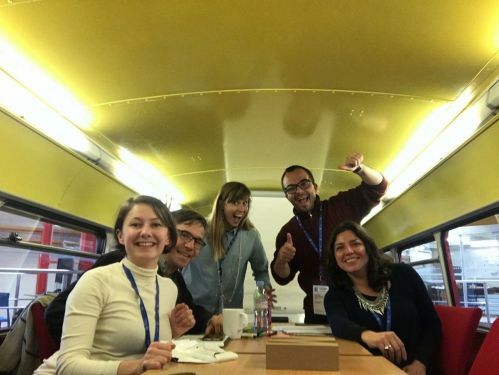 They do so using a methodology called Design Thinking, a non-traditional way of working that we hope to bring into the mainstream through NYC Design Factory and across the greater Seidenberg and Pace community. But back to CERN. 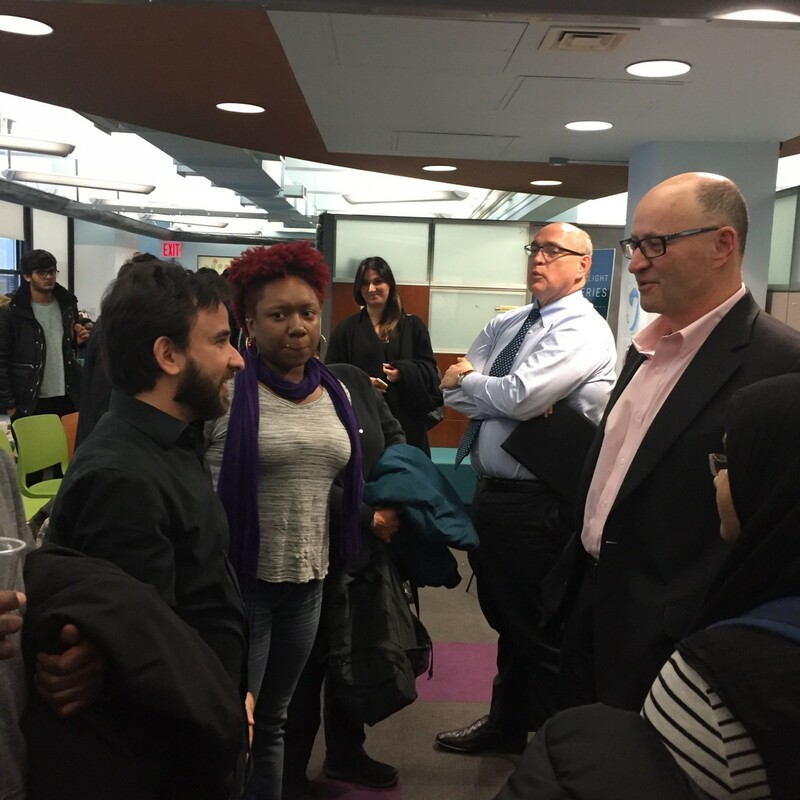 Delegates from Seidenberg included Dean Jonathan Hill, Professor Stacey Sarris, and Program Manager Olga Bogomolova. 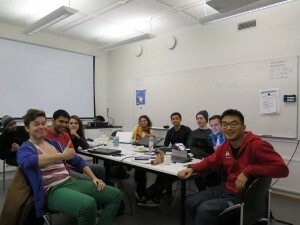 They flew out to Geneva, Switzerland, over the weekend preceding the Dec 12th kickoff. So what did our envoys think? 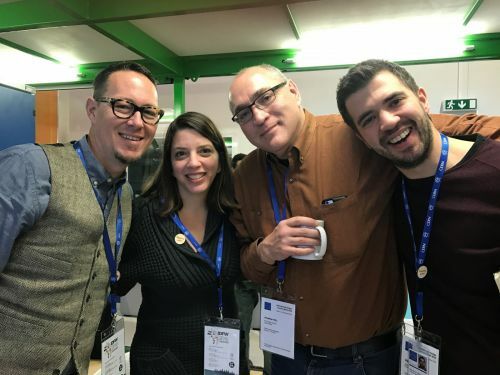 “CERN was the perfect backdrop for a collaborative Design Factory global event given that CERN is proof that anything is possible and that’s what Design Factory is about!” said Professor Stacey Sarris. 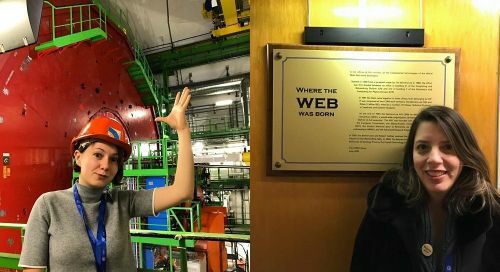 “CERN is this amazing, dynamic place with thousands of scientists – most of them physicists with some computer scientists sprinkled in – who are working on some of the largest physics problems in the world today. You can’t not be inspired spending a day there among the world’s top science minds,” Dean Jonathan Hill said. 45 people from 15 countries attended the event. Olga explained the benefits of having an annual get together. 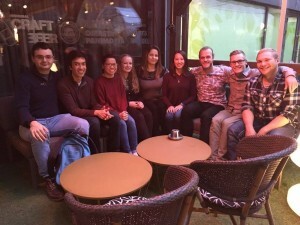 “We all have strengths and areas of focus, so when we get together we can exchange ideas and best practices and brainstorm ways of working together. Because we are so different, we can leverage our differences to create a wholesome experience for our students. Top secret? Yeah, right – we found your Mannequin Challenge video, DFGN! We know what you really got up to! Just kidding – but watch their amazing video below! 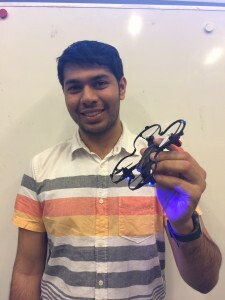 Meet the students who will be building the networks that make the Internet of Things possible! The first graduates of Seidenberg’s Cisco Net Academy have just taken the CCNA 1 exam. These fantastic students will proceed to take CCNA 2 in the spring before sitting for Cisco’s CCENT exam, which is one of the quickest ways to get a job in IT networking. 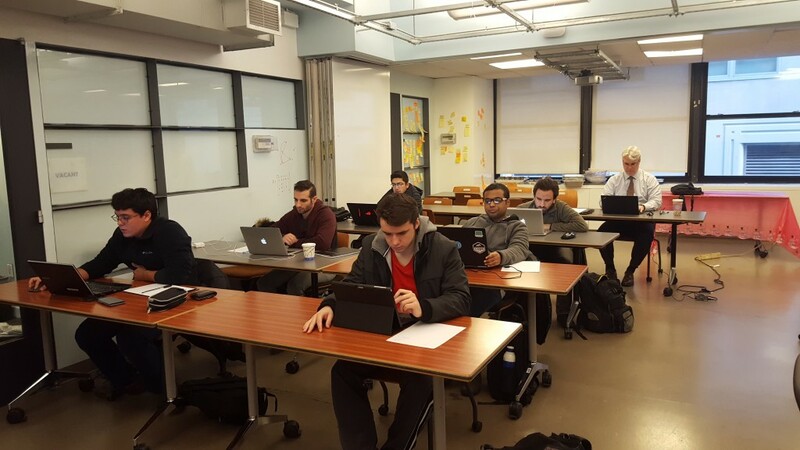 Students underwent training in the new Applied Data and Networking Sciences Lab, which is located on the 10th floor at 161 William St. The lab was created by Associate Dean Dr. Jim Gabberty as a place where students can gain hands-on experience in cybersecurity, big data analytics, and Cisco networking. Now that the lab has been open through summer and the fall semester, we’re seeing results: the first batch of students have passed the CCNA 1 exam and are well on their way to the CCENT! Dr. Jim Gabberty, who brought the program to the Seidenberg School earlier this year, hopes even more students will participate and eventually earn their CCENT/CCNA/CCNS certifications from Cisco as a supplement to their academic studies here at Pace University. “It’s really quite exciting to see these motivated individuals take charge of their future careers by leveraging our relationship with Cisco,” he said. 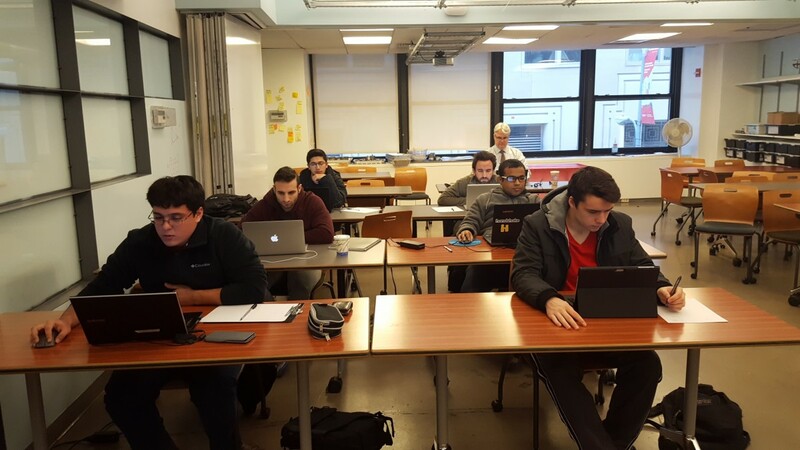 As a Cisco Networking Academy, the Seidenberg School offers access to high quality courses that provide technical training and helps students develop their professional skills. Through a series of video and practical training using Cisco Packet Tracer, students learn new theory and get the chance to cement it with hands-on practice – and unlike other institutions, we offer it for free. 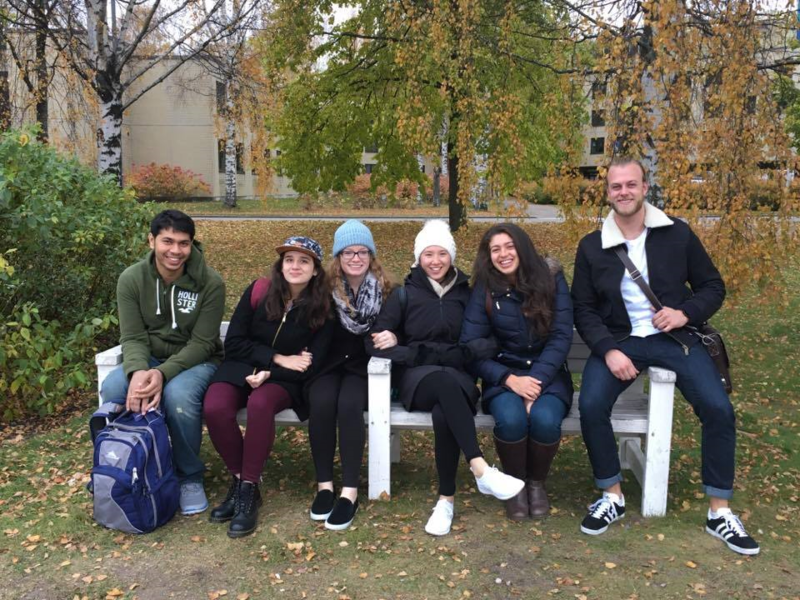 We are incredibly proud of the work put in by the students to get to this point – and extremely excited for the future where more Seidenberg students get to enjoy this incredible opportunity to grow their skills and increase their prospects. CCNA 1 through CCNA 4 will be offered free to Pace University students in the hopes of helping to fill the thousands of job openings in the industry. 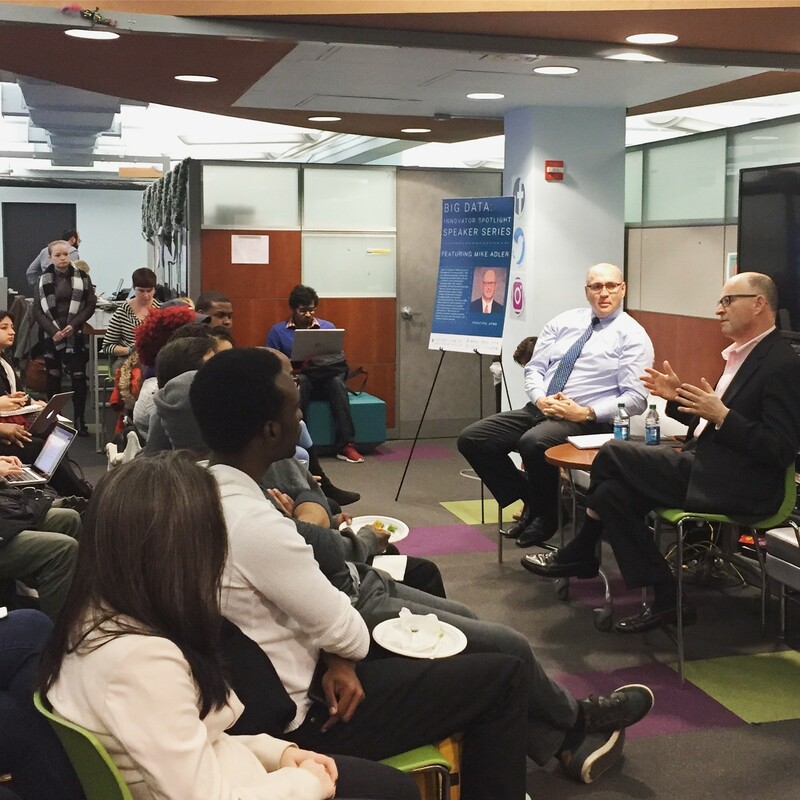 The third and final of our Big Data Innovator Series took place on Wednesday, December 7th, 2016, with guest speaker Mike Adler sharing his wisdom and experience with a collection of students, staff, and faculty. As a Principal in KPMG’s Insurance Management Consulting practice, Mike has significant experience working with leading insurance and financial services companies to drive transformation leveraging digital, data, analytics, technology, and best operational practices. He started in accounting after graduating from Pace in 1988. It wasn’t long before he began to feel he needed to get into a new area – technology. “Computer science at the time was starting to evolve,” he said. The challenge is a great one. It is estimated that the volume of unstructured data doubles each year, making big data enterprise analytics – the ability to sort through, understand, learn from, and recommend paths of action to take based on that data – is becoming an increasingly sought after skill set. After opening the New York Design Factory just a few months ago at Seidenberg, we were delighted to hear that design thinking is being practiced in big companies like KPMG! He also discussed how when you join a new company, the people already established there can be wary about new technology, and that soft skills can help overcome that challenge. Knowing how to help people respond to changes or new ideas is incredibly useful in the technology world. For example, helping the general population learn about why Watson is so significant. A huge thank you to Mike for coming to visit us and sharing such excellent wisdom and advice. Thanks also go out to Deth Sao for organizing this fantastic speaker series! Previous speakers in the series were David Kelly (MS Information Systems ’94) and Jason Molfetas (BS Computer Science ’87). Continuing our events during Big Data Month came the second installment in our Big Data Innovator Spotlight series. 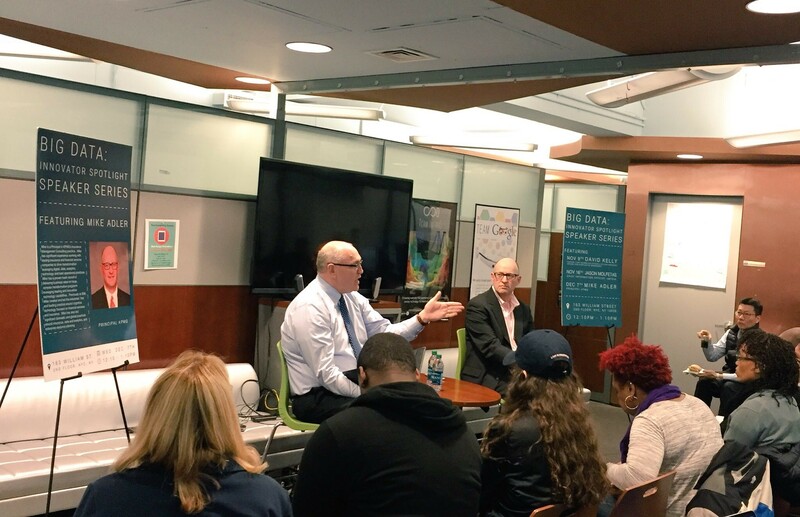 Jason Molfetas, the CIO of Amtrak, came to talk shop with Seidenberg on Wednesday, November 16th, 2016. Jason earned his BS in Computer Science in 1987 at Pace University’s Pleasantville campus. 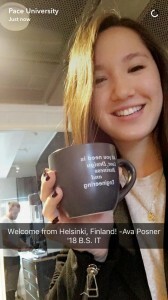 He spoke about going on some of our international trips – something we still do several times a year when we send students to places like Finland and Austria! After 28 years in industry gaining expertise in marketing, sales, and technology, Jason was pleased to return to the Seidenberg School to share his wisdom, particularly when it comes to leadership and adding value to your position. Dean Jonathan Hill kicked off the session by gesturing to the many students present and asking Jason how he got from that chair (the ones the students were sitting in) to this one (the one in front of the audience). 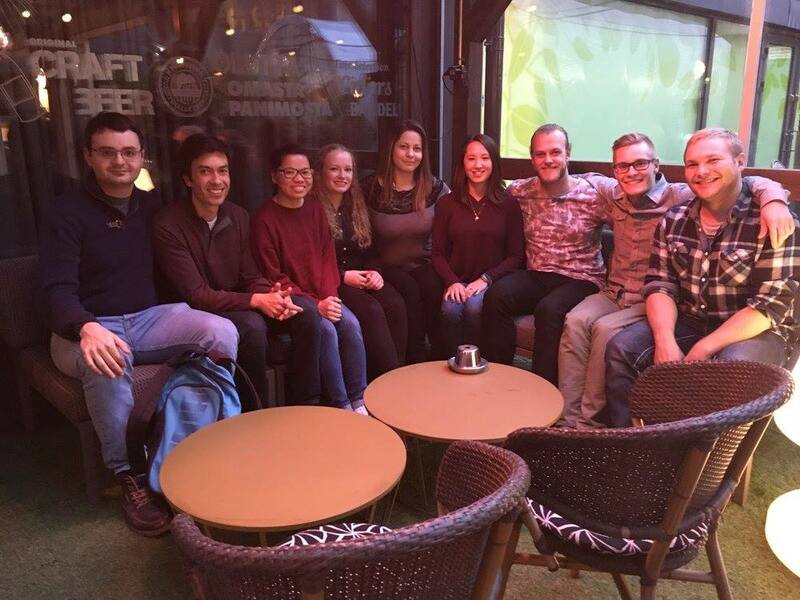 Jason then went on to explain his leadership style – “it’s still developing; it never stops” – and shared his 8 steps for success. Here they are! Customers come first. Aim to exceed their expectations. Think results – proactively deliver rather than asking what your boss wants; show that you have identified what is important by telling them what you want to do then ask if anything is missing. Sitting at the table is nice, but if you’re not going to say anything to add value why are you there? Do your homework before going to meetings to ensure you have something to contribute. You need to be organized in order to deliver and track results. Metrics help to prove that you are doing your job, whether for operational excellent, revenue management, or improving customer experience. Big data is going to be huge in the future and understanding how it works and what you can do with it is key. Using cognitive analytics can solve problems before your customer even knows there are any. For example, with Amtrak, if it looks like a reservation is going to be cancelled, the process to book a new one on the customer’s behalf is all automated. The first indicator the customer receives about the issue is their updated booking. Steve Jobs and some friends went to a farm and saw a calf being born. They were amazed by how the calf pushed itself up and stepped to its mother for its first drink of milk. Humans teach their kids, but the calf did it all intuitively. Steve Jobs he said he wanted to create products that were intuitive, and nobody has to be trained to use an iPhone. Michael Schumacher won the F1 championship many times. He said it was won not by him, but how he had the best car, the best tech, and the best team. His team worked seamlessly together to ensure his success. What an amazing list! Seidenberg students – and Pace students as a whole – would do well to keep this one for future reference! So for all our students who are aiming high – you’re on the right track! A massive thank you to Jason Molfetas for sharing his incredible wisdom and to Deth Sao for organizing the event! Next up is Mike Adler from KPMG to close out the Big Data Innovator Spotlight series! 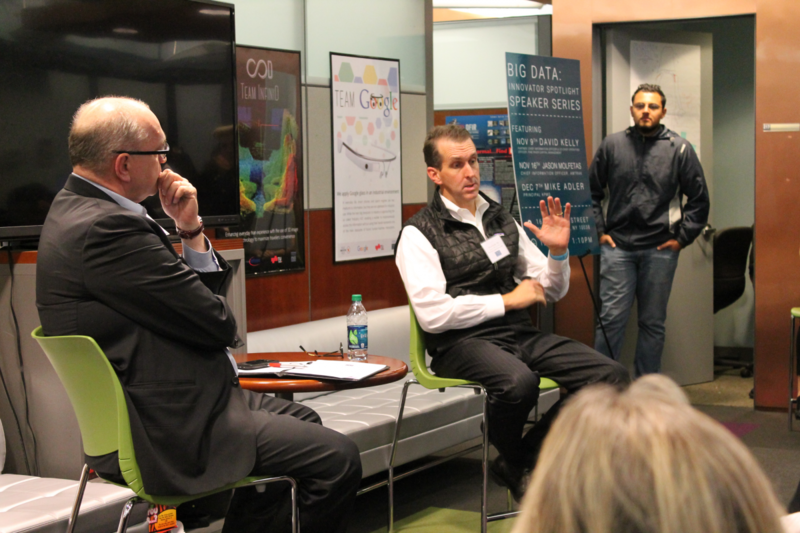 Read about the first event in the Big Data series, with guest speaker David Kelly. November is Big Data month, and we’ve been working hard to demonstrate how important (and cool) big data is in many ways – one of which is the Big Data Innovator Series taking place here at Seidenberg. The series is a collection of talks and interviews with Seidenberg alumni who work with big data. There are three talks – two in November and one in December – and we strongly encourage our students to attend! 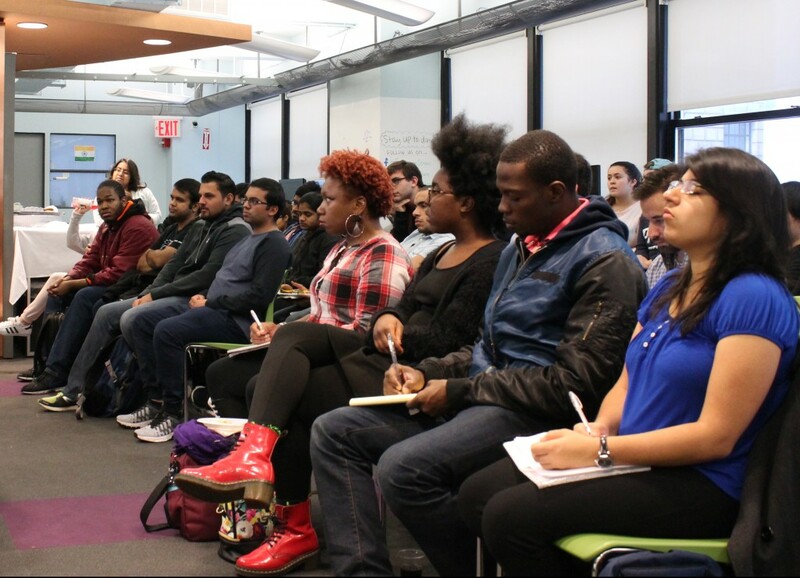 The first event took place on Wednesday November 9th in the Seidenberg Lounge at 163 William St. 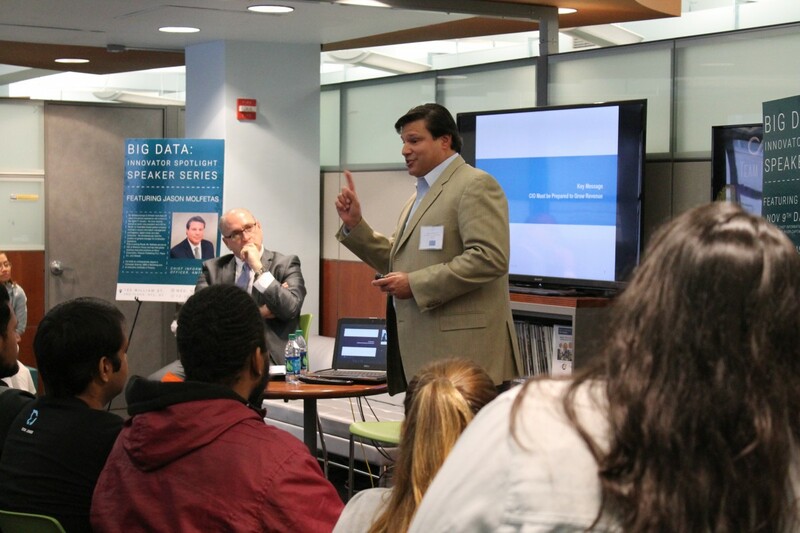 The speaker was David Kelly (MS Information Systems ’94), and he spoke to an incredible turnout of 120 students! David is the CIO and co-chief operating officer at Pine River Capital Management, so he had a lot of great advice to share with our students interested in going into the financial world. One of David’s most important pieces of advice to students was showing a willingness to work hard and to learn, even if you are asked to do something that you don’t know or that isn’t included in your job description. “Show willingness to do what you’re asked to do,” he said. 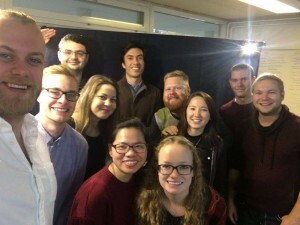 David also had some insights into the big data and cybersecurity fields, saying that the job prospects in cybersecurity were going to be just as good in 2019 as they are now. We really enjoyed having David visit for our Big Data Innovator Series and would like to extend a big thank you to David and to organizer Deth Sao. Next up is Jason Molfetas, the CIO of Amtrak!